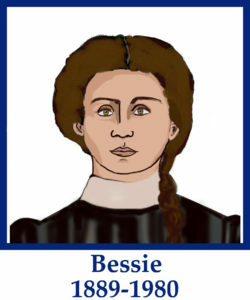 Bessie was born 1 January 1889 in Kellis Store, Mississippi. She was the eighth child of Jack Johnson by his wife, Hettie Brown.
" I knew her in Chicago before her move to Santa Fe. 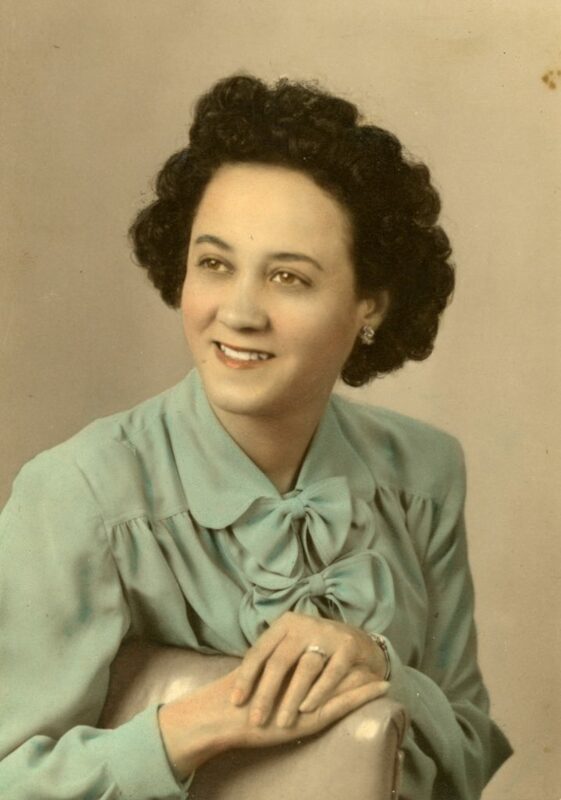 She lived on Marquette Boulevard with her daughter, Nani Pierce. In the 50's, Nani and her husband, Clifton Pierce, bought a three flat building at 1357 E Hyde Park Blvd. From the early fifties and probably earlier, Bessie lived with them. My family was ready to move. It was the three of them that told my father about a vacant apartment nearby. We rented an apartment near them for a year. Then we bought a house a few blocks away. Aunt Bessie was a great cook and she took care of their impeccable home. She always tended a small garden with flowers and edibles. I remember her serving home made iced tea with home grown mint. She told real stories about what people were doing and saying. The amusing part was that she would act out her stories. However, every person she imitated would have the same voice and mannerisms. She and my father were very close. He was distressed by her move to New Mexico. They never saw each other again." - Jane W.
"I wanted to add a couple of points to what Aunt Bessie was like. She was a very handsome woman. I don't remember her wearing lipstick or dressing up. 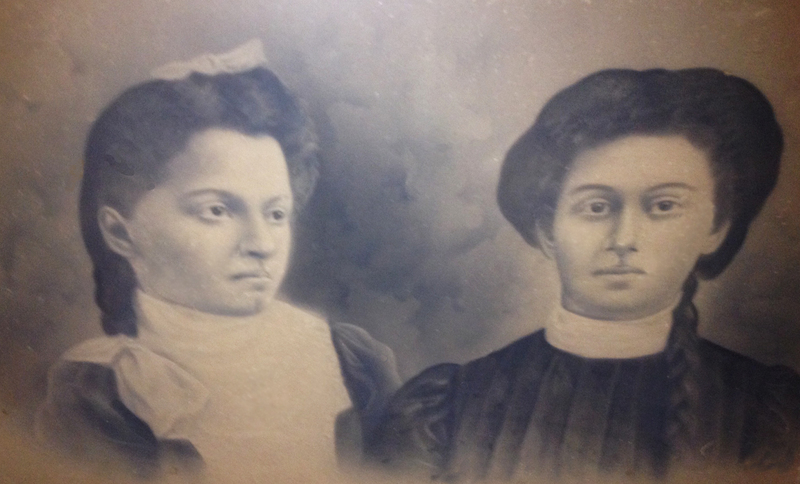 When I met Gwen C. from St Louis in Biloxi, I noticed right away an uncanny physical resemblance to Aunt Bessie. On the other hand, Nani, her daughter, was a pretty woman. She and my mother were best friends. One their favorite activities was to shop for shoes at the Saks Fifth Avenue sale. Nani would come home with boxes and boxes of shoes. Because her feet were small, there was so much for her to pick from. Nani always wore red lipstick and was very fashionable. Nani and my mother taught at the same elementary school. Kindergarten was a half day at that time. However, since Nani was my teacher, I had the privilege of an all day kindergarten. Or so my mother convinced me. Ironically, Nani had told me about Gwen C. in 1995. My daughters and I had gone to Santa Fe to see Nani. I had not seen her since her move from Chicago. My girls had never met her. Nani explained that we had a cousin, Gwen, from St. Louis who had a daughter attending Northwestern University. I did not meet Gwen until the Biloxi Reunion. " -Added by Jane W.